Sarkis Clinical Trials utilizes medical professionals from a wide variety of backgrounds to provide comprehensive care to all participants. Dr. Elias H Sarkis is the founder and president of the EHS Medical Practice PA. He is the Medical Director of Sarkis Clinical Trials. Board certified in child and adolescent psychiatry as well as in general psychiatry, Dr. Sarkis has also earned certification from the American Society of Addiction Medicine. He received his BS degree from City College of New York before attending medical school in France at the Universities of Montpelier and Lille. For his internship and psychiatric residency he chose the University of Florida where he went on to complete a fellowship in child and adolescent psychiatry. 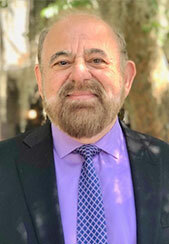 He continues his association with the University of Florida as a Clinical Associate Professor in the Department of Psychiatry. Dr. Sarkis is a distinguished fellow of the American Psychiatric Association and past president of the Florida Psychiatric Society. 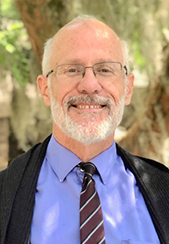 He has also served as president of the North Central Florida Psychiatric Society, of the residents’ section of the Alachua County Medical Society, of the Alachua County Mental Health Association, and of the Florida Council of the American Academy of Child and Adolescent Psychiatry. Acknowledged as an expert in the clinical applications of psychopharmacology, Dr. Sarkis is much in demand as a speaker. He has numerous television and radio appearances to his credit, and he has authored articles for many scientific and scholarly publications. As medical director of Sarkis Clinical Trials, Dr. Sarkis has been principal investigator for a variety of clinical research studies including tests of medications for ADHD, depression, bipolar disorder, autism, migraine, and insomnia. Michael R. Johnson is the Medical Director of Sarkis Family Psychiatry and is the principal investigator for Sarkis Clinical Trials. He is known affectionately to his colleagues as Dr. J.
Dr. Johnson is a graduate of Carleton College and of the Yale Medical School. He completed his internship and residency in psychiatry at the University of Colorado Health Sciences Center. He obtained a fellowship in anxiety disorders at the Medical University of South Carolina. He is board certified in psychiatry by the American Board of Psychiatry and Neurology. Dr. Johnson has wide-ranging expertise concerning the effects on brain chemistry of medications used to treat psychiatric disorders. He is the recipient of various academic and teaching awards and is the author of many articles in scientific and scholarly publications. Dr. Johnson has served as principal investigator and sub-investigator for numerous and varied clinical research studies. Dr. Laurie Solomon joined Sarkis Clinical Trials and Sarkis Family Psychiatry in 2017, after serving as an attending psychiatrist at Meridian Behavioral Healthcare for several years. She has served as a sub-investigator on clinical trials for depression, autism, and ADHD. Dr. Solomon is a graduate of the Universidad Iberoamericana School of Medicine in the Dominican Republic. She completed an internship in pediatrics at the Goryeb Children's Hospital in Morristown, NJ, and a residency in psychiatry at the University of Florida and the Malcolm Randall VA Hospital in Vero Beach, Fl, after which she was selected for a fellowship in ddiction medicine at the University of Florida. She is board certified in psychiatry and addiction medicine. 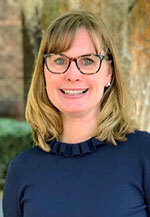 In addition to her expertise in addiction medicine, her clinical interests include women's health, college student mental health, persistent mental illness, and general psychiatry across the lifespan. She is active in the Florida Psychiatric Society, the American Psychiatric Association, and the American Society for Addiction Medicine. She has been actively involved as a volunteer with Gainesville's Helping Hands Clinic since 2011. She enjoys art, horses, and the theater. Dr. Benton graduated from the University of Florida in 1985. He completed his residency at Baylor College of Medicine (Houston, Texas) in 1988. He has been in private practice in Gainesville ever since. 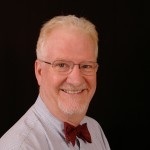 He is also an Adjunct Clinical Assistant Professor at the University of Florida. Along with Drs. Boccarossa, Trumbull, and Zanga, he was a co-founder of the American College of Pediatricians. He has been a member of the Christian Medical and Dental Association since 1996. Dr. Benton has served his local community in ways that include: participation in the local Safe Kids organization, serving on the Board of the local YMCA, serving on the board of the local Crisis Pregnancy Center, and as a member of the Emergency Medical Service Citizens Advisory Board. Dr. Benton has been on medical mission trips to the Dominican Republic, Honduras, Haiti, and Nicaragua.